Glutathione is one of the most important pro-health and anti-aging chemicals in your body. It is a powerful antioxidant and detoxifier. Glutathione protects your body against heavy metals such as lead and mercury. In fact, in my link on Fish Safety, I discuss how some people have gene that yields lower levels of glutathione and, therefore, increased levels of methylmercury after ingestion of fish. Remember also that mercury attacks your precious testosterone, so glutathione is one of your body's natural testosterone protectors. Glutathione is involved in dozens of other critical systems and even protects your body's Vitamin C. And we know Vitamin C provides critical collagen protection, including that in your skin. So how do we raise glutathione levels naturally? 1. ALA. Alpha-lipoic Acid also has another huge benefit: increase one of the body's primary antioxidants, glutathione. Raising glutathione levels has remained elusive and alpha-lipoic is one of the few proven ways of doing it. 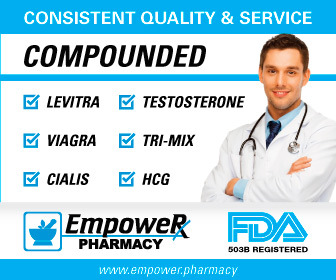 Alpha lipoic acid will also help many men with their erectile strength, something I discuss in page on Alpha Lipoic Acid and Erectile Dysfunction. 4. Whey. Whey protein raises glutathione levels, at least in individuals with various illnesses such as HIV and cystic fibrosis. Some animal studies, though, indicate that this should be for the general populace as well. However, almost all store wheys that I have seen are loaded with dangerous excitotoxins and I document that here in my link called No Whey! However, there is an alternative, undenatured or biologically active whey, which I document in my link called Yes Whey if you want more information. 5. Exercise. Exercise increases the important form of glutathione. However, it should be kept in mind that this is the body's natural response to the increased oxidative load that exercise places upon it. 7. Resveratrol. Resveratrol increased glutathione in lung epithelial cells that were "smoke depleted". Good sources of resveratrol are red wine, peanuts and cocoa. nuts and cocoa. 8. Grape Seed Extract. This potent and relatively cheap supplement can help improve blood flow - always good for erections - and arterial clotting and inflammation. And, just as important, one study found that it raised plasma glutathione levels by 52%! Admittedly, this was in type II diabetics, but it should help virtually any middle-aged or senior male. 9. Nanodelivery Glutathione. Again, glutathione, if taken by itself, is very poorly absorbed. LEF (Life Extension Foundation) has a product with a nonodelivery system that supposedly greatly improves absorption. The product is called "Lipoceutical Glutathione" if you are interested. 1) Alcohol and Alcoholism, 21(1):81-84, "ALCOHOL ENHANCES VITAMIN C EXCRETION IN THE URINE"
3) Journal Plant Foods for Human Nutrition (Formerly Qualitas Plantarum), Jun 2007, 62(2), "The Influence of Maca ( Lepidium meyenii ) on Antioxidant Status, Lipid and Glucose Metabolism in Rat"
5) Toxicol Ind Health, May 2009, 25(4-5):325-328, "Whey proteins influence hepatic glutathione after CCl4 intoxication"
6) J Appl Physiol, 1993 Feb, 74(2): 788-92, "Blood glutathione status during exercise: effect of carbohydrate supplementation"
7) Journal of Molecular Endocrinology, 2004, 33:797-803, "High glucose decreases intracellular glutathione concentrations and upregulates inducible nitric oxide synthase gene expression in intestinal epithelial cells"
8) American Journal of Physiology, Lung Cellular and Molecular Physiology, 294(3):L478 88, "Resveratrol induces glutathione synthesis by activation of Nrf2 and protects against cigarette smoke-mediated oxidative stress in human lung epithelial cells". 9) FEBS, 2 Jan 2 1998, 421(1):19-22 "High concentration of glucose causes impairment of the function of the glutathione redox cycle in human vascular smooth muscle cells"
10) Diabetic Medicine, May 2009, 26(5):526 531, "Effects of grape seed extract in Type 2 diabetic subjects at high cardiovascular risk: a double blind randomized placebo controlled trial examining metabolic markers, vascular tone, inflammation, oxidative stress and insulin sensitivity"
11) Hypertension, 1999, 34:76-82, "Effects of Glutathione on Red Blood Cell Intracellular Magnesium"
12) Inflammation Research, Jun 2008, 57(6):279-286, "Effects of magnesium supplementation on the glutathione redox system in atopic asthmatic children"